Objectives The aim of this systematic review was to assess the evidence from randomised controlled trials (RCTs) on the efficacy, effectiveness and safety of acupuncture in women with polycystic ovarian syndrome (PCOS) undergoing in vitro fertilisation (IVF) or intracytoplasmic sperm injection (ICSI). Methods We searched a total of 15 databases through October 2015. The participants were women with PCOS (diagnosed using the Rotterdam criteria) undergoing IVF or ICSI. 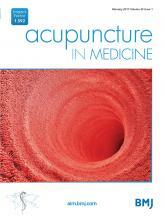 Eligible trials were those with intervention groups receiving manual acupuncture (MA) or electroacupuncture (EA), and control groups receiving sham acupuncture, no treatment or other treatments. Outcomes included the clinical pregnancy rate (CPR), live birth rate (LBR), ongoing pregnancy rate (OPR) and incidence of ovarian hyperstimulation syndrome (OHSS) and adverse events (AEs). For statistical pooling, the risk ratio (RR) and its 95% (confidence interval) CI was calculated using a random effects model. Results Four RCTs including 430 participants were selected. All trials compared acupuncture (MA/EA) against no treatment. Acupuncture significantly increased the CPR (RR 1.33, 95% CI 1.03 to 1.71) and OPR (RR 2.03, 95% CI 1.08 to 3.81) and decreased the risk of OHSS (RR 0.63, 95% CI 0.42 to 0.94); however, there was no significant difference in the LBR (RR 1.61, 95% CI 0.73 to 3.58). None of the RCTs reported on AEs. Conclusions Acupuncture may increase the CPR and OPR and decrease the risk of OHSS in women with PCOS undergoing IVF or ICSI. 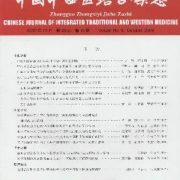 Further studies are needed to confirm the efficacy and safety of acupuncture as an adjunct to assisted reproductive technology in this particular population.